What’s the difference between Structured Moderation and just plain old Moderation? 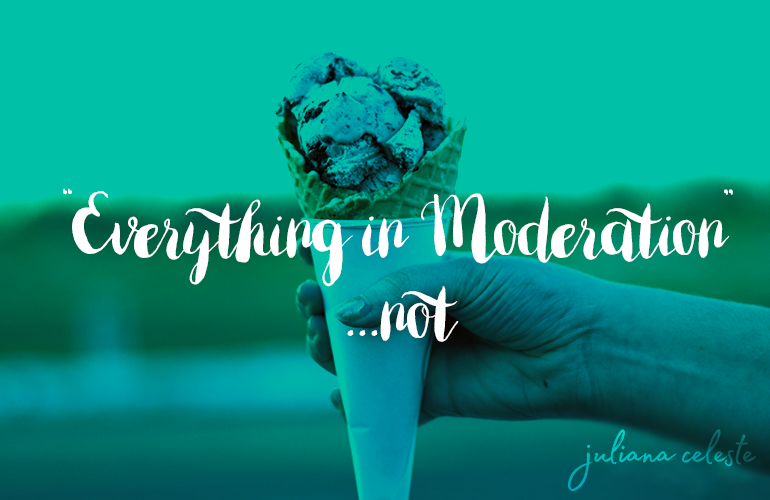 Moderation has no guidelines. It’s “eat what you want, but not too much of it”. It relies on good judgement, which let’s be honest, is not always reliable (especially when you’re in any sort of mild-altering state, read: hangry/emotional/stressed/drunk/etc). The reason moderation often fails is because of its lack of structure, which prevents people from maintaining consistent eating patterns. When you eat one indulgent thing, there is nothing stopping you from continuing on that train for the rest of your day (unless you have a willpower of steel that is. And if that’s the case, congrats – you’ve just won at life ). This is why a cheat meal so frequently turns into a cheat day, or even a cheat week. Structured Moderation on the other hand, is a mix between 100% clean eating, and moderation. It encourages you to eat clean for the majority of the time, but also allows for a specified number of treats. Specified being the key word (i.e. 3x/week): It’s not all wishy-washy like moderation; but rather you have a structure that allows you to chose the treats that are worth it for you (so you don’t have a free for all). To discover if this whole Structured Moderation thing is successful, I’m putting my sister and I to the test. We are going to embark on a 90 day Clean Eating challenge, implementing the Structured Moderation principal. The key here is to set parameters on what we can and cannot eat, and how many “treats” we’ll allow ourselves per week. And then of course stick to it… For 90 days. Why 90 days? Yes, it may seem like a long time (and it is), but hear me out. The length of time it takes to form a habit has been debated for a while. Some agree on 21 days, while others say 10 weeks. Having done the Whole30 a few times before, I know that (at least for myself), 30 days is not long enough to form a habit. After the 30 days was done, I was dying to eat all of the “bad” foods I was depriving myself of. This makes me favour the 10-weeks theory, and then extra 2 weeks can just be considered insurance (better be safe than sorry!). Ideally after the 90 days, I shouldn’t feel the urge to go back to my old ways (since I won’t be strictly depriving myself), and instead be able to maintain this way of eating as a lifestyle. These guidelines were created based on what I think are realistic for MYSELF. 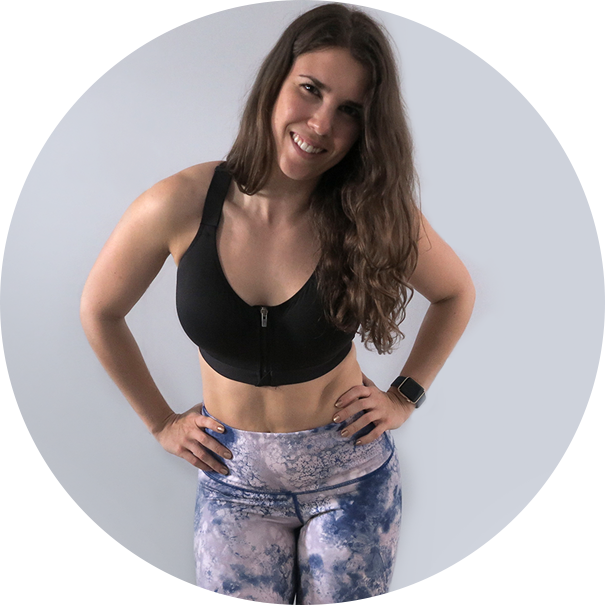 If you’d like to join me on this challenge, please feel free define your own parameters on what you will and won’t eat, and how many treats you want to allow yourself per week. It’s key that you create guidelines that are realistic for YOU and ultimately will allow you to live a more balanced and healthy life. TIP: While I think it’s ok to adjust these guidelines as you go, don’t adjust them to allow yourself to slack off in the moment. For instance, don’t say you’re going to change your treat meals from 2 to 3 because you feel like having dessert in the moment. Instead follow-through with the week you’re on, and adjust for the following week if you still feel like it’s necessary.